I’ll be honest, when I started graduate school two years ago I believed I was “bad” at social media. I was inconsistent at best with platforms like Facebook and Snapchat, and I had no desire to learn about networking websites like LinkedIn. Anyway, platforms like Instagram and Twitter would just be distractions, right? So in August 2017, I signed up. I started following a few organizations, like University or Kansas (KU) and the Smithsonian, and researchers that I knew personally. I retweeted from programs like Monterey Bay Aquarium Research Institute and our department’s Graduate Student Organization at KU, but it took me a while to warm up to the idea of posting original tweets. In the first few weeks I found several relevant papers and I started to hear about the experiences of other graduate students and researchers. My first tweet, appropriately enough, was on International Jellyfish Day, 3 November 2018. I uploaded a movie of my own moon jellies, but even that simple act made me anxious. The few likes that I got were instantly fulfilling and motivating. My first tweet in 2017. 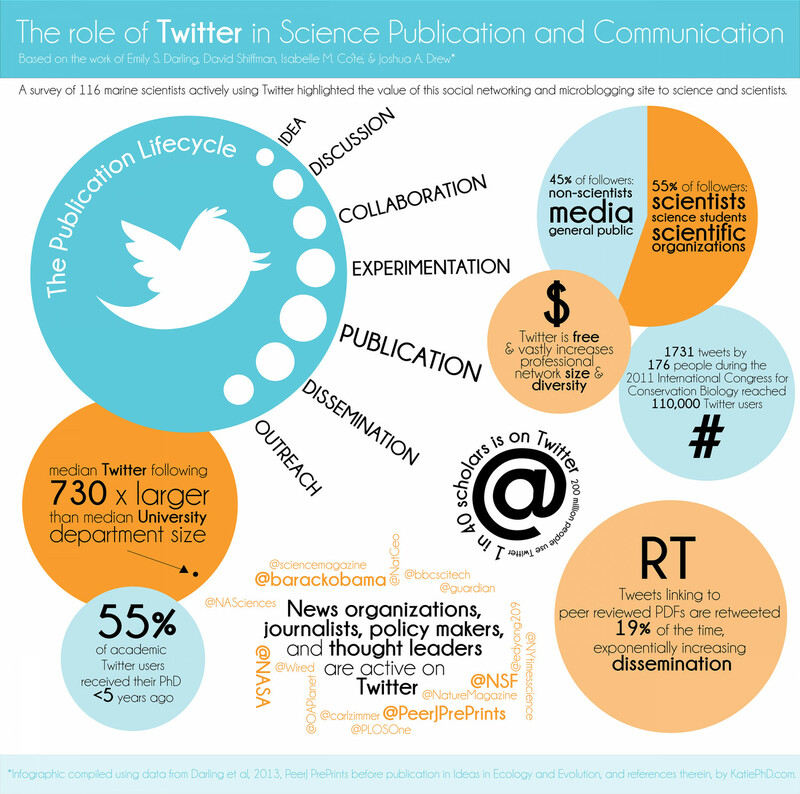 Once over the hurdle of posting for the first time, I began to notice how “Science Twitter” was using hashtags to share research experiences, knowledge, science communication techniques, and general feelings about graduate school and academia. I saw the start of a hashtag campaign for a group I was truly motivated to be involved with: venom researchers. My current research interests divide me between two distinct fields: jellies and venoms. Surprisingly, I have found very little overlap between the two, and most of the intersection is focused on sea anemones. I was confident I would get to know the jellyfish community through my own lab, but I would have to create a space in the venom world, to some extent, on my own (I say to some extent because all of academia is fairly interconnected). I was quite lucky that the inaugural Gordon Research Conference (GRC) Venom Evolution Meeting in 2018 would be taking place in the Unites States, and I planned to attend after my month in Washington DC. I wanted to know if there was anyone else working on jellyfish venoms, and if what I had learned on my own was even relevant anymore. The Media Team for GRC started the #ToxinTuesday hashtag in the months leading up to the event. So, I started making sure my jellies were a part of the weekly tweets. And it worked! Not only did I start to learn the names of early career researchers as well as projects that would be featured at the conference, but many scientists I admired started to like my posts and follow me. It gave me the confidence to post and retweet more, until I learned the names of graduate students that would be attending and their own projects. When I finally got to the conference, I could identity almost half the attendees because I had seen them on Twitter. I could go up to professors to tell them that I enjoyed their papers, and I could go up to students and start conversations easily. On the two hour bus ride to the venue I sat with someone whose recent work had significantly impacted my own, and I left with another that I spent the entire trip talking to. This was by far the most confident I have felt going into a conference, and importantly, that conference made me feel like I knew what I was doing, and I would be supported by the venom community into my career. My experience completely changed how I think about utilizing social media to promote myself and others experiences and research. Some of my favorite recent hashtags campaigns include #DailyJelly from Rebecca Helm (@RebeccaRHelm), #SkypeaScientist (@SkypeScientist and @SarahMackAttack), #actuallivingscientist, and of course, #ToxinTuesday. As science twitter continues to evolve, I am looking forward to the conversations, projects, and opportunities that I may be involved with, thanks to the advice of my advisor. I know many of my colleagues have found similar solace in their own scientific communities, both in keeping up to date with the latest research and in finding support within their discipline. I hope to see many other’s use the platform to promote themselves and their work! Are you “bad at Twitter” and want a few tips? Some students in my Graduate Student Organization wrote up these tips and tricks for using Twitter for professional development.